We specialise in Wedding & Event Photography, Portrait Photography to include Children's enchanted fairytale photography better known as our 'Magical Memories' package and bump to baby/newborn photography. Romantic Wedding photography by Jane Austin Romance Photography, we have a diverse range of beautiful wedding packages to choose from and we believe in providing a personal touch to ensure your day is extremely special and memorable. We will take beautiful photos inspired by you, of all the special moments and things you would like to remember. We are able to provide beautiful designer digital art books hand crafted in Italy with your images or bespoke traditional handmade wedding albums to record your special day. 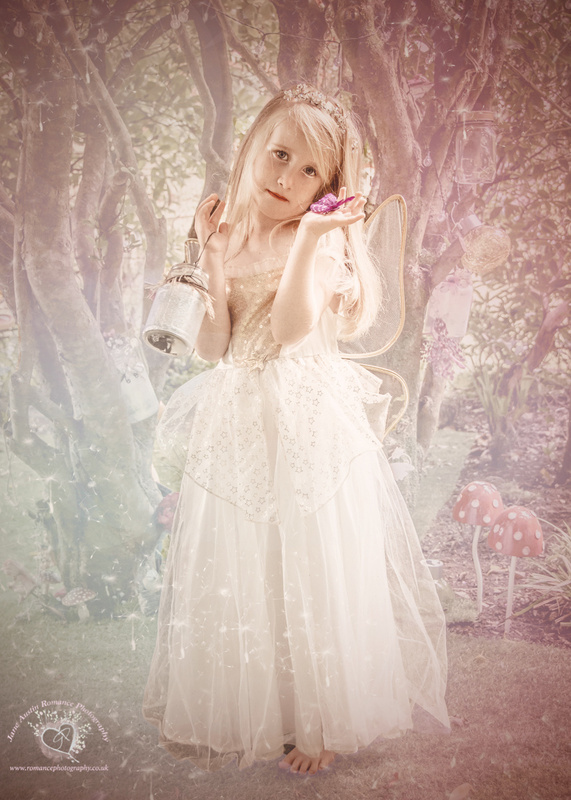 Our children's Magical Memories package is an exciting photography package offering a bespoke fancy dress service, together with enchanting fairytale backdrops and props to bring the magic alive! Let us transform you into your favourite fairytale characters, or just simply create your perfect picture and leave you with a lasting memory to treasure forever! This is a package where dreams can really come true! We'll help you create your own personal fairytale dream to be captured and treasured forever! We will provide suitable fairytale, enchanted, vintage damask or plain backdrops for the photography, or we will make the most of the natural scenery. We have a fully mobile studio and fancy dress service, so if you cannot come to us, we can come to you, allowing you to have your photoshoot in the comfort and privacy of your own home. We are also able to provide both traditional and contemporary portraits according to your preferences within our photography studio. Here at Jane Austin Romance Photography, we are able to offer a unique portfolio and portrait service for our clients within our beautiful mature gardens and our fairy garden (weather permitting of course) allowing you a perfect backdrop and setting to enjoy creating your perfect picture in a truly idyllic setting. Jane Austin Romance Photography provides a safe outdoor play area for children within the mature garden to keep them entertained whilst creating your bespoke family portraits. We pride ourselves in our work and we take time to understand our client's wishes and expectations, so that we may produce a diverse selection of photographs inspired by you, for your portfolio.